Editor's Note: This piece was originally posted at Guns.com. I’ll admit, when I first began thinking on this topic, I had pretty strong feelings towards women’s only classes and their place within the industry. While I have always felt they are useful at the introductory level, I have questioned the efficiency as students move past the early stages in their gun journey into the mid-level and advanced arenas. To me, the question became are women’s only classes really needed past a certain point and do they limit women? Realizing that I had a certain staunch viewpoint, I decided to reach out to a few women’s instructors to get their opinions on whether women’s only classes are beneficial to students and if so, how they help. Robyn Sandoval is the Executive Director for A Girl & A Gun, a women’s only shooting group that promotes and provides female only classes and shooting events through local chapters. Sandoval acknowledged that not all women wish to engage in women’s only classes but for the ones that do, female driven courses are extremely beneficial in helping women feel comfortable and learn how to shoot. Instructor Marchelle Tigner is best known for her ambitious goal setting. 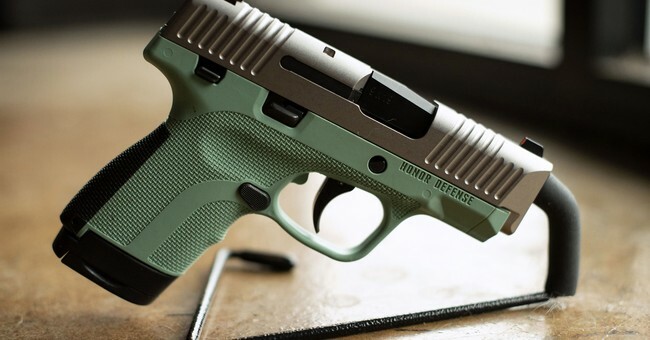 The firearms instructor is determined to teach one million women how to shoot and she is tackling this goal one women’s only firearm class at a time. Tigner said the reason she focuses on women’s only shooting is multi-layered and starts with representation. Tigner told Guns.com that it’s important for some women to see themselves in the instructor to really grasp the concept that they can shoot effectively. Having a female instructor drives these students to perform better and retain knowledge as they can better relate to the person teaching the class and her experiences. In addition, Tigner said women have the opportunity to uniquely relate to one another in a women’s only class. With many attendees driven to the shooting world due to sexual assault and abuse, the ability to share these experiences with other women is powerful. When it comes to past traumas and painful experiences, Kathy Jackson has seen it all. A powerhouse in the training industry and Lead Firearms Instructor for Cornered Cat Training Company, Jackson has 15 years of professional firearms instructing experience under her belt. During her tenure as an instructor, she’s hosted both women’s classes and co-ed courses witnessing the dynamics of both on her female students. Jackson said that often women’s courses are looked down upon when in reality they are anything but weak. While some students may not have the painful past of trauma to carry, others may be caught in a relationship dynamic that prevents them from growing throughout a gun course. Jackson said some insecure men will use subtle manipulation and behaviors to control their female counterparts if they perceive these women are performing better. For their part, Jackson said many women in these types of overbearing relationships will also alter their performance on the range so as to be sensitive to their partner’s ego. It’s a shared dynamic that doesn’t allow these women to grow in a co-ed environment. Alternatively, these same women learning in a restricted, women’s only course thrive and ultimately perform at their best level – a goal of any good instructor. Jackson said that often the perception is women don’t achieve as much in female-centric classes because instructors don’t push as hard. A notion she says is unreservedly false. What I learned from talking to these women and ruminating on the validity of women’s courses is that, frankly, I’ve been asking the wrong question the whole time. It’s not about whether women’s classes are needed or relevant. What we as an industry should be asking is how do we ensure classes help students reach their maximum potential?